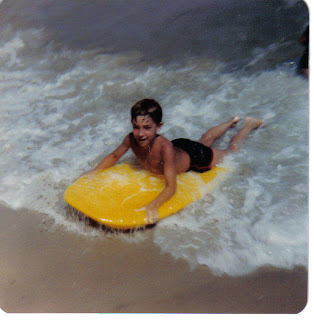 Here is a pic of me (age 10) in Ocean City, MD. This was my very first experience in the ocean. Being from the mountain state, I had never seen the ocean (except on television). I played so long in the water that I got sick and lost my voice (worst sore throat I had ever had). My mother was worried but the next morning, I was well and back at it again. Until this day, I've always been very fond of the ocean. I enjoy the mountains too, but I find the ocean more intriguing. Maybe that's why I became a sailor. Hey guys, please vote for our daughter. Thank you! My kids like water a lot and I don't. I can't swim, hehehe. If I was your mother and you got sick coz you stayed there a lot, you ain't swimming the next day..You're lucky, I wasn't.. hehehe..
aw! you look so husband even at a tender age of ten!! there is something about the ocean that i sooo love too.. if you want to see more underwater wonders visit coron!!! :) it will be a blast to ur kids too! so cute......it is great to bring back the good memories...thanks for sharing john! Great shot and a lovely story to go with it. It's hard for me to imagine the ocean/sea being just so far away as in the UK you are never far from the sea. Awesome shot and story!! I've just returned from Rose's blog and I voted for your daughter too - vote #614!! Yes the Ocean is a magical place! I voted for your daughter the other day, and it looks like she was way ahead of the other beautiful kiddos! My kids love the ocean too. 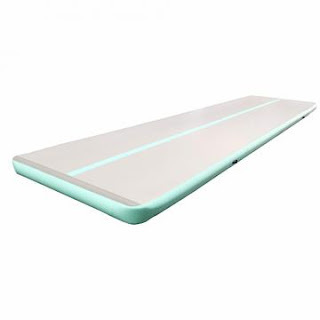 It's so powerful, yet relaxing at the same time! i love the ocean too! that is such a neat picture of you on the boogy board. :-D thanks for sharing! Awesome picture and story to go with it. What a special memory! That must have been a wonderful day! Hahaha, you were a good looking boy even when you were still a kid. Yes, the ocean is really fantastic. One can never get tired swimming in the sea near the beach. Thanks for the post. God bless you always. Oh, I love the beach--I grew up in So Cal...4 years ago we moved to a landlocked part of the US and I've been going through withdrawals ever since. I remember well days like you described...playing til you absolutely wore yourself out. The best part of being a kid and your picture shows the absolute joy of childhood. I dreamed of the ocean here in WV too and didn't get to see it until I married my husband and we moved to Virginia just outside of Virginia Beach. Now I'm back in the mountains and love it just as much. nice photo you have. I love the ocean, not the view but the smell! terrific! Way different with your kids right now Sir John at their young age, the had been to many places and beaches.